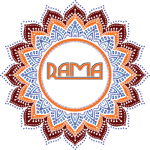 Rama Ceremonial provides you with a truly unique and elegant setting for your special day. Surrounded by lush, emerald green lawns, gardens of vibrant, colorful flowers, transformed into a luxurious venue for an amazing event.Two spacious banqueting halls along with multi-cuisine restaurant. A select rendezvous with modern amenities and serene ambiance, it’s an absolutely perfect center for corporate functions and banquets. We understand that weddings are a celebration of a special bond and our unrelenting efforts are aimed at making it the most special memory that is cherished forever. Located in the heart of Noida, Rama Green Valley, offer lush green aesthetically manicured sprawling lawns for that starlit celebration night. Feel like the place is for what you are looking for ? This charming place is the perfect choice forWedding , Corporate function, parties, get-togethers, family outings, rest and recuperation, and above all, peace and solitude.